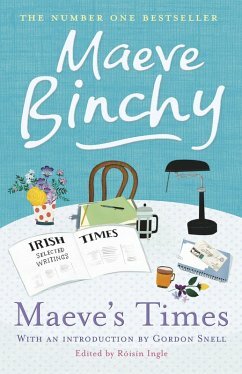 Maeve Binchy is well known for her bestselling novels, but for many years Maeve was a journalist. From 'The Student Train' to 'Plane Bores' and 'Bathroom Joggers' to 'When Beckett met Binchy', these articles have all the warmth, wit and humanity of her fiction. Arranged in decades, from the 1960s to the 2000s, and including Maeve's first and last ever piece of writing for the Irish Times, the columns also give a fascinating insight into the author herself. Maeve Binchy was born in County Dublin and educated at the Holy Child convent in Killiney and at University College, Dublin. After a spell as a teacher she joined the Irish Times. Her first novel, Light a Penny Candle, was published in 1982 and she went on to write over twenty books, all of them bestsellers. Several have been adapted for cinema and television, most notably Circle of Friends and Tara Road. 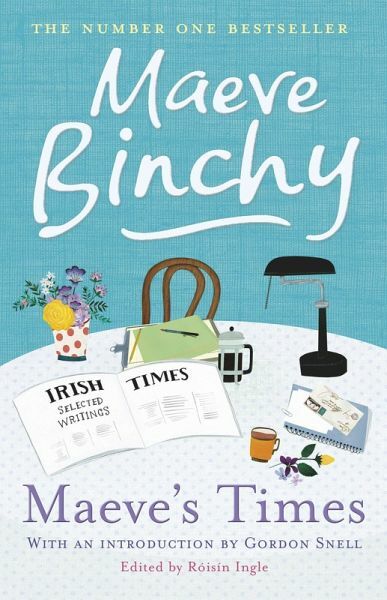 Maeve Binchy received a Lifetime Achievement Award at the British Book Awards in 1999 and the Irish PEN/A.T. Cross award in 2007. In 2010 she was presented with the Bob Hughes Lifetime Achievement Award at the Bord Gáis Irish Book Awards by the President of Ireland. She was married to the writer and broadcaster Gordon Snell for 35 years, and died in 2012.